St. Patrick's continues to excel at teaching its students. 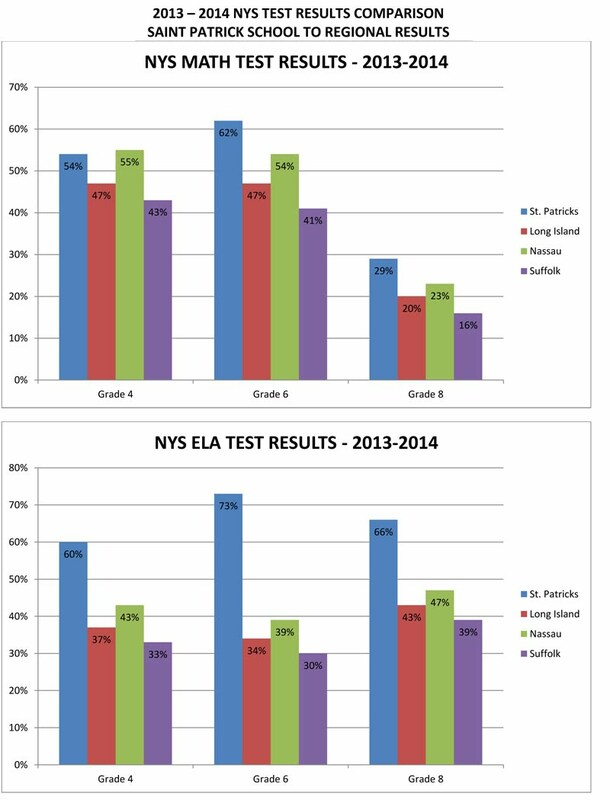 Not only do our students go on to succeed in high school and beyond, our students' standardized test scores continue to be excellent. 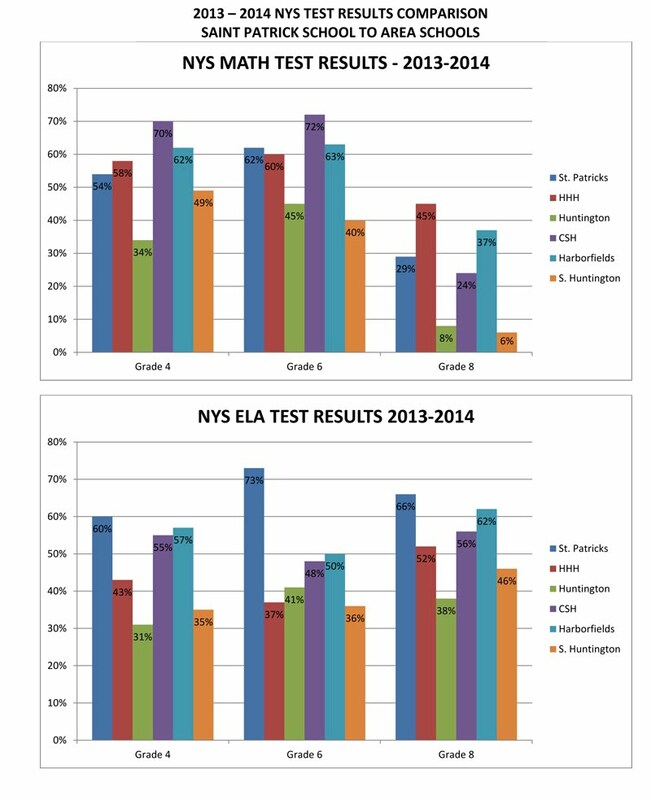 Below you will find three graphs that show St. Patrick's test scores compared to other schools on Long Island. 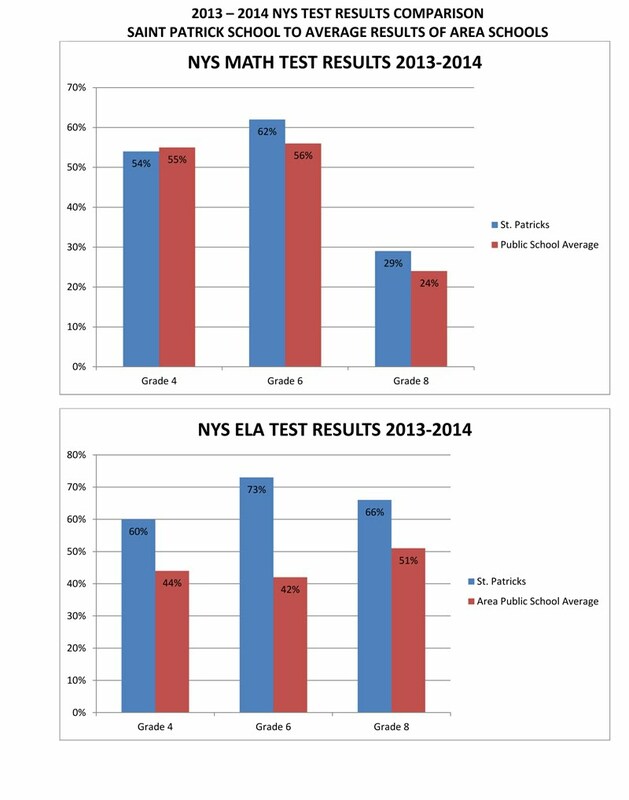 You can see test scores from 2011 HERE.